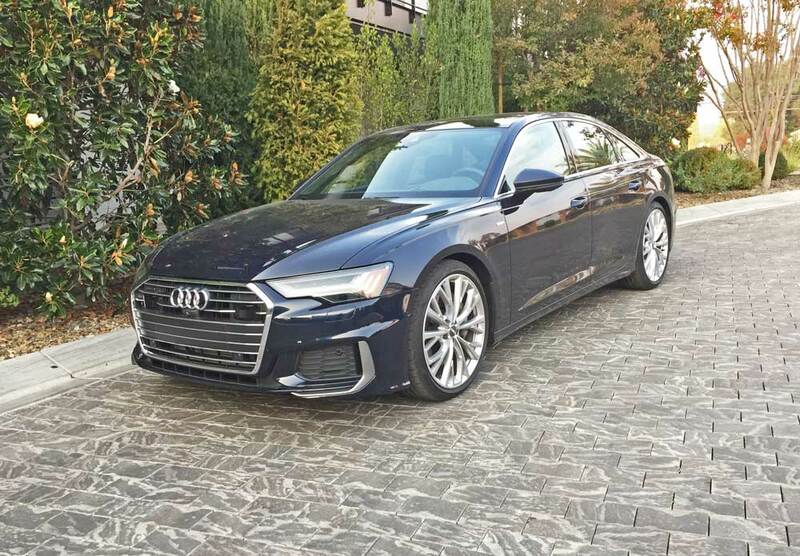 ?2019 Audi A6 3.0T quattro Sedan? 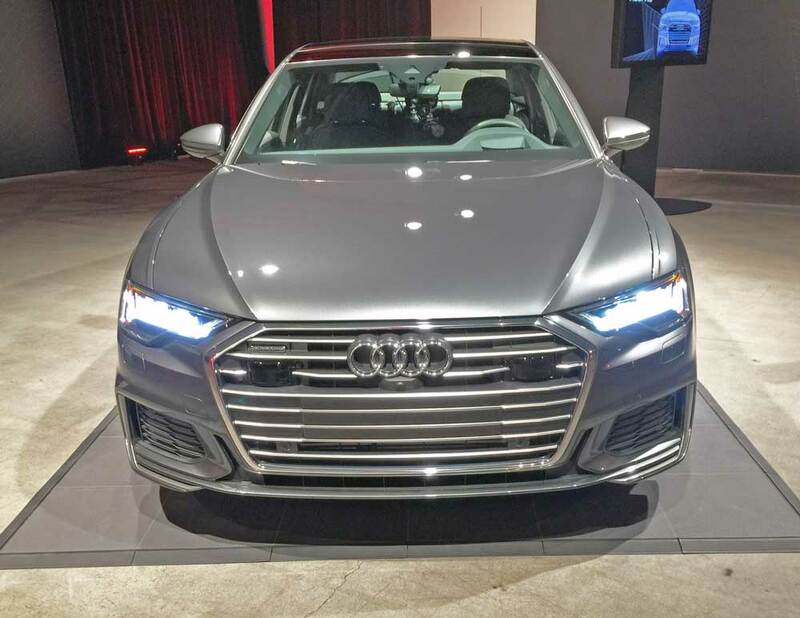 The all-new eighth generation 2019 Audi A6 four-door sedan is a regular smorgasbord of sophisticated technology ? perhaps for some, too much technology. There are three trim levels ? Premium; Premium Plus; and Prestige with base pricing starting at $58,900. 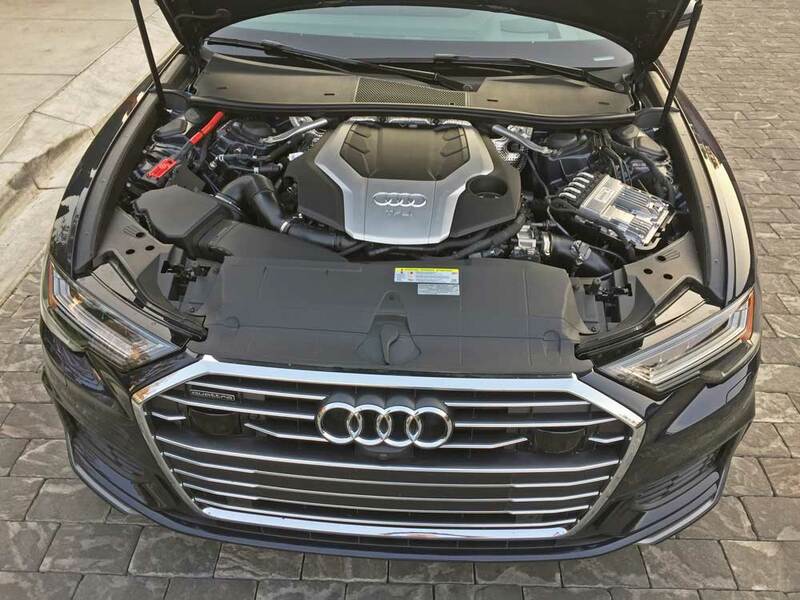 Power comes from a newly developed 3.0-liter TFSI V6 engine featuring a twin-scroll turbocharger, replacing the previous generation?s supercharger and delivering 335 horsepower and 369 pound feet of torque channeled to Audi?s quattro? all-wheel drive system with new Ultra? technology through a seven-speed S tronic? dual clutch automatic transmission. A four-cylinder derivative is scheduled to launch at a later date. 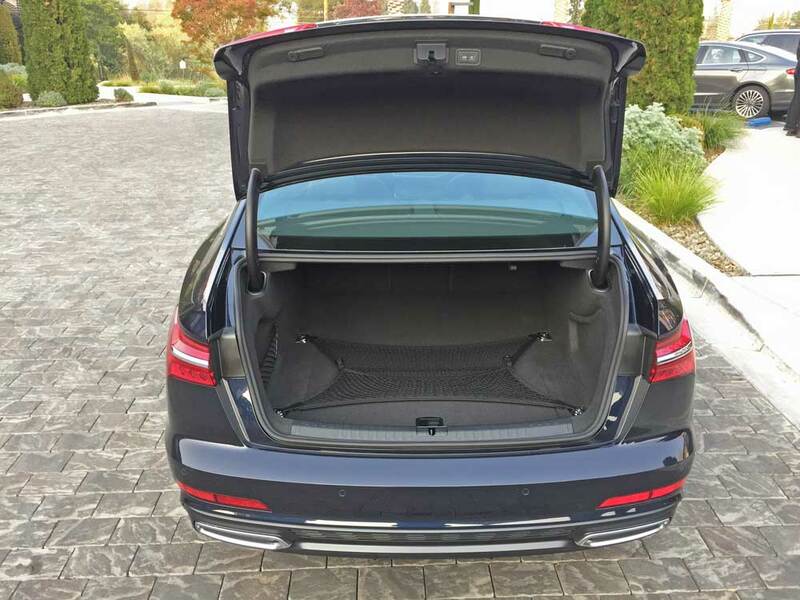 New for 2019 includes as standard, a 48-volt system with Mild Hybrid Electric Vehicle technology, which is stored beneath the rear cargo floor. Power is supplied from the 10Ah battery to a belt alternator starter that smoothes out the auto start/stop operation. A conventional pinion starter is utilized exclusively for cold starts. Enhanced suspension componentry and standard progressive power steering make for a more dynamic driving experience. 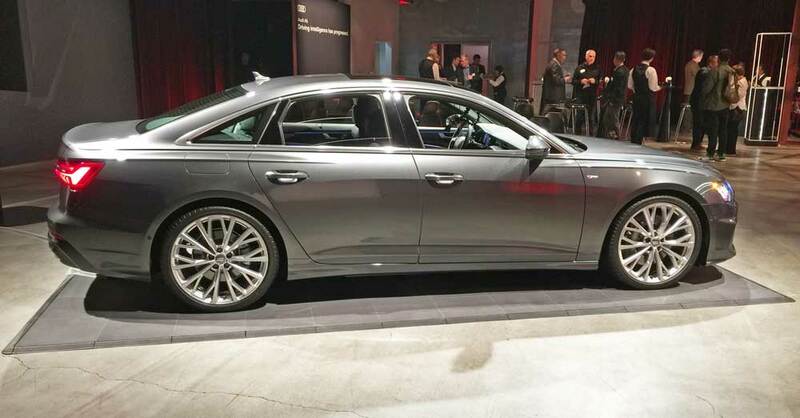 The new A6 is semi-autonomous, enabling limited partial hands-free driving. The A6 is more capable than ever before, featuring digitalization from nose to tail through Audi?s all-new MMI touch response system that allows for up to seven driver profiles to be stored with approximately 400 preferred total settings. Going a step further, natural language control uses natural speech commands to operate a full range of vehicle functions such as cabin climate control. 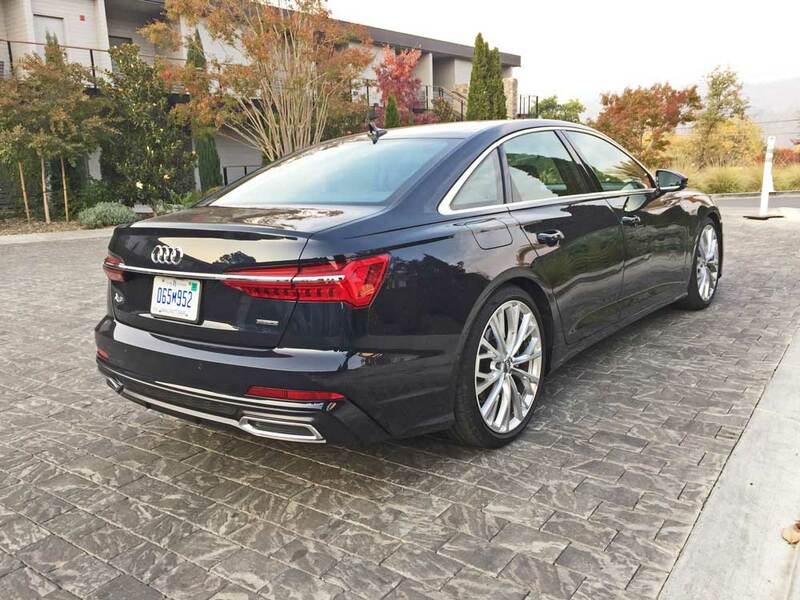 In addition to infotainment, the A6 serves up an extensive suite of connectivity solutions, adding to convenience and personalization. There?s also a full suite of standard and available driver assistance systems. 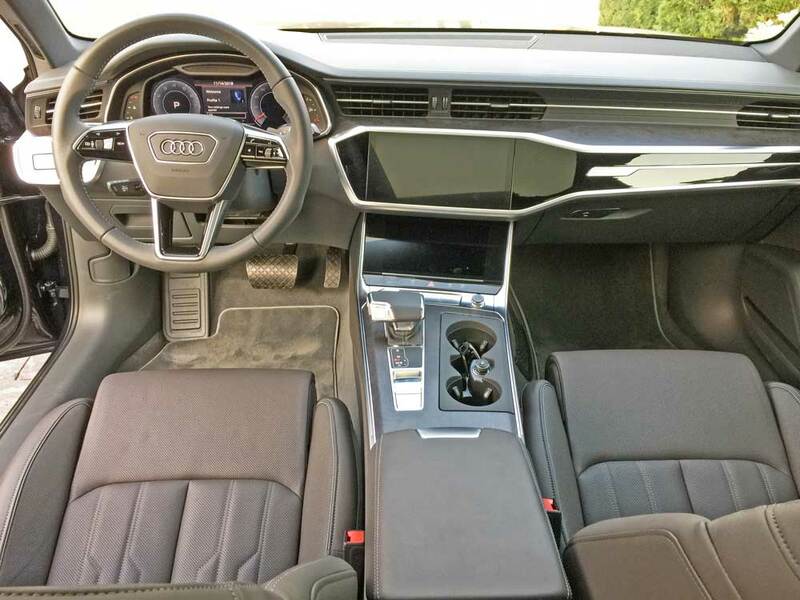 Audi?s Virtual Cockpit with its large 12.3-inch display aids the infotainment and navigation experience through Google Earth? imagery or 3D city maps with two viewing modes. There?s also a full-color Head-Up Display and standard Audi smartphone interface that provides Apple CarPlay? and Google Android Auto integration for compatible devices. 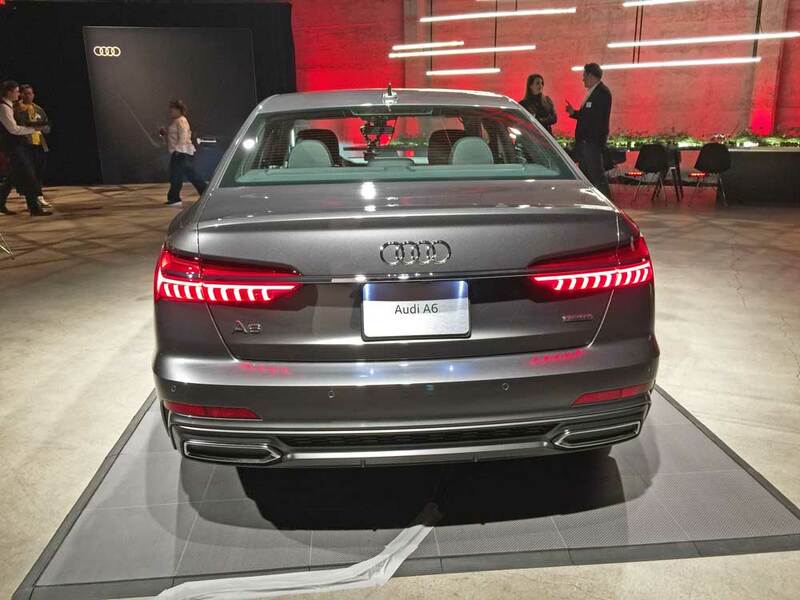 Visually, this latest iteration A6 is an expression of Audi?s new design language. Large surfaces, sculpted edges and striking lines conveying its high tech and sophisticated sport sedan character. The iconic Singleframe grille is now wider and is set lower, flanked by large side air intakes. In profile, three distinctive character lines serve to reduce the visual height, and there are pronounced wheel well arches. The roofline tapers into the flat C-pillars, and the aft curved edge of the deck lid optimizes the vehicle?s 0.29 drag coefficient. Bringing up the rear are LED taillights with dynamic rear turn signals. 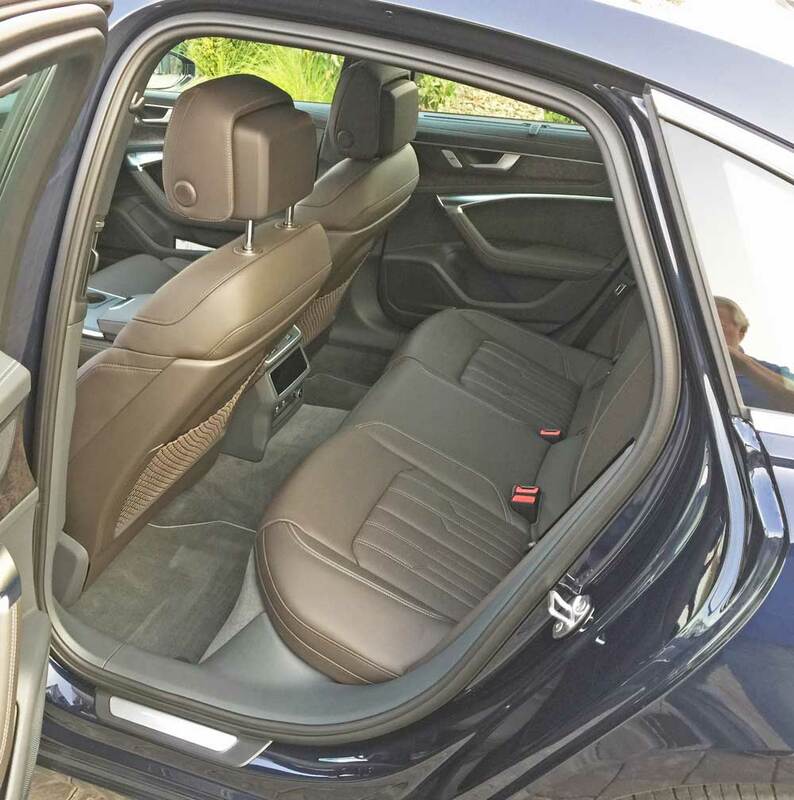 The interior is larger than before with added head and shoulder room in both the front and rear seats. Front seats feature eight-way power and four-way lumbar adjustment. Contour front seats with ventilation and massage function are optionally available. Driver assistance features include: available adaptive Cruise Assist; Audi Pre-Sense city; a top view camera system with front, rear and side views and virtual 360 degree surround view that allows the driver to toggle around and zoom in and out for assistance in maneuvering in tight space situations; intersection assist; traffic signal recognition; Audi Side Assist, Audi pre sense rear; vehicle exit warning; and rear cross traffic assist. 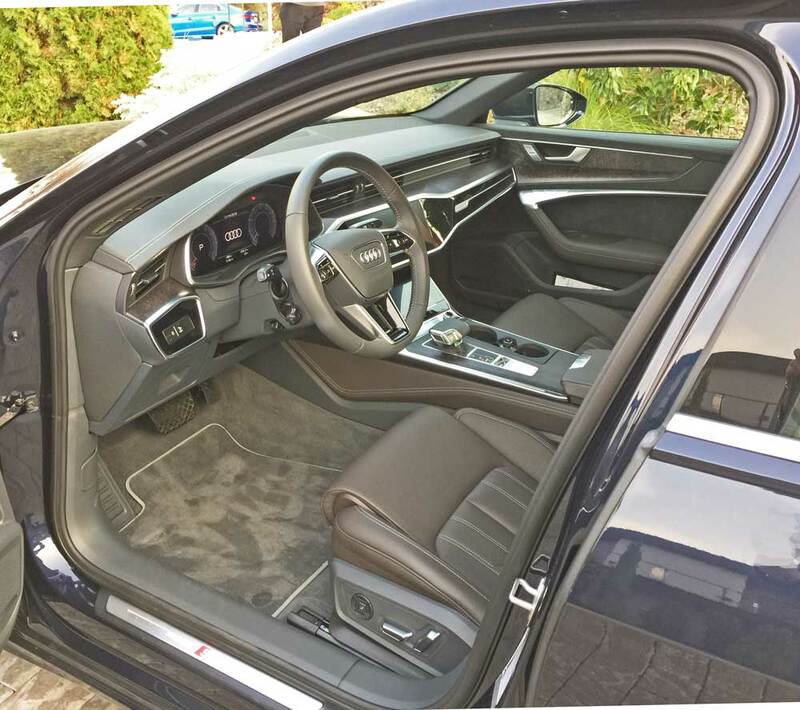 My test 2019 Audi A6 3.0 TFSI came in Prestige trim, finished outside in Daytona Gray Pearl effect and inside in Okapi Brown and Charcoal tones. The base price was set at $58,900., which was elevated to $74,090 after factoring in the metallic paint, Prestige Package; Driver Assistance Package; 21-inch Sport Package; Cold Weather Package and Destination Charge. At first glance the new Audi A6, the impression is deceiving in that it appears to be nearly the same size as the new A8. It?s not, it?s smaller. It?s still a large luxury sedan with sporty attributes and it drives as such with a slight nose-heavy feel. It is however, easy to drive and highly responsive. The V6 sounds almost like a V8 and the responsiveness is brisk. The ride quality is most comfortable ? firm, but not harsh, and smoothly compliant but not floaty, remaining stable through higher speed twisting scenarios. 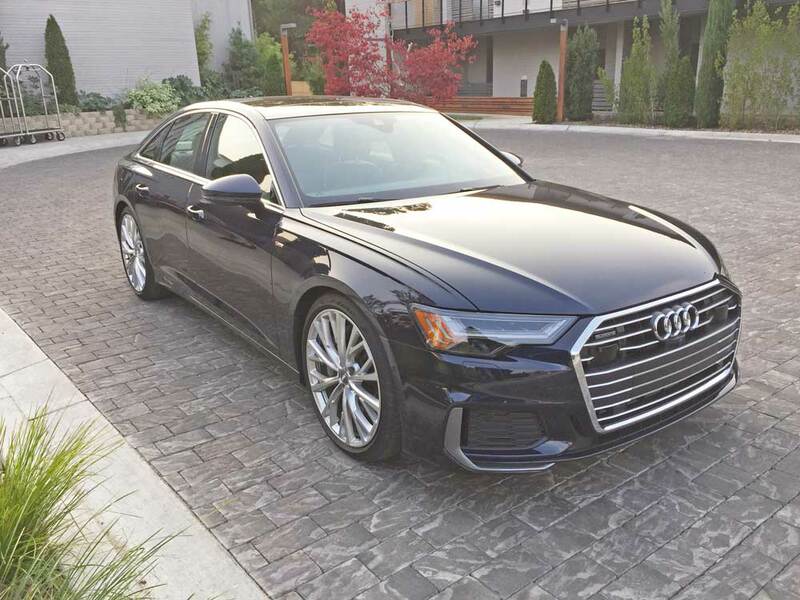 In the final analysis, the new Audi A6 is a delightful, right-sized luxury sport sedan that is appropriately priced. Keep in mind that it will take some time to become comfortably familiar in talking advantage of all the available technological features. Once mastered, it is sure to be rewarding. Engine Type and Size: 3.0-liter, DOHC, 24-valveTFSI V6 with 48 volt mild hybrid electric vehicle technology with recuperation. Drive Train: Longitudinally -mounted front engine / quattro? all-wheel drive system with Ultra? Technology. Suspension: Adaptive damping suspension with 20mm drop sport suspension package. 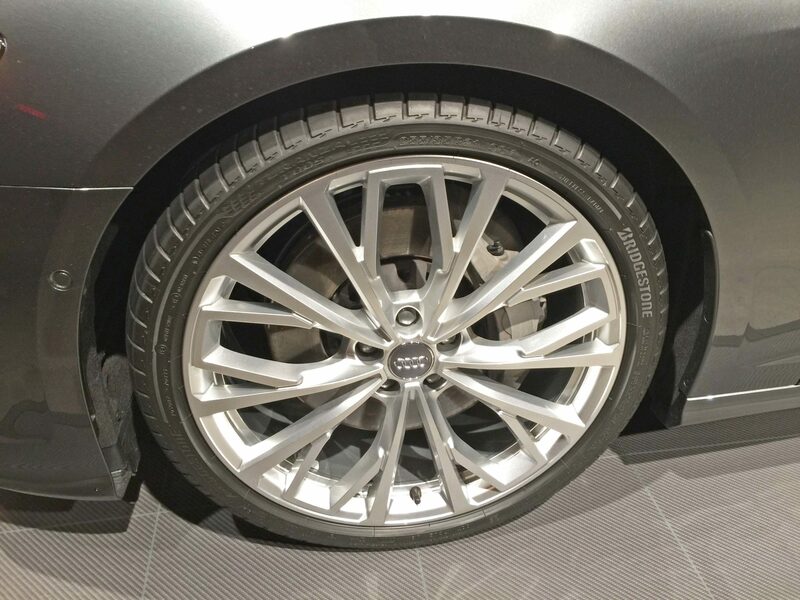 Brakes: Power-assisted four wheel vented discs with ABS. Tires: Bridgestone Turanza T005 ? 255/35/R21 98Y mounted on 10-split-spoke alloy wheels. 0 – 60 mph: 5.1 seconds- Top track speed 130 mph electronically limited.